Out of my expectation, as it works great! fast delivery , great service. Low price but good quality! Fiber Optic Inspection products are important for network technicians and other personnel to safely inspect fiber end-faces for contamination and verify the effectiveness of fiber cleaning procedures. It is a fact that fiber end-face contamination is a major cause of network outages and downtime, so fiber inspection products and fiber cleaning tools are necessary devices which can avoid this situation to be happened. 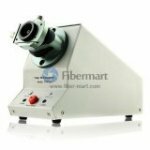 Fiber-Mart provide some kinds of cost-effective fiber inspection tools, fiber optic inspection scope, fiber microscope which are of good quality and endurable, such as Fiber Optic Microscope, Fiber Optic video Microscope, etc. View our large selection of fiber optic inspection equipment and accessories below.